The history of the University of Cambridge dates back to 1209 when the institution first opened its doors. Over the centuries, it has expanded its grounds and developed a reputation as one of the best universities in the world. All of the guests that join us at The Tamburlaine Hotel love to explore the historic grounds to see the beautiful architecture. 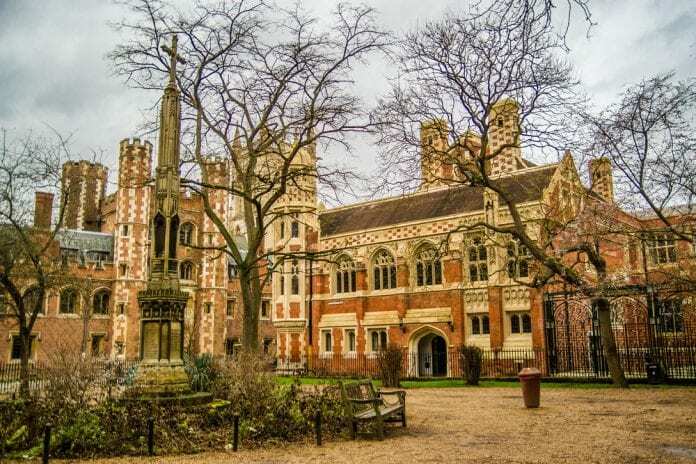 If you’re planning a trip to our Hotels in Cambridge UK, here is some history of the famous colleges that you will see on your travels around the city. The famous Trinity College is the university’s largest campus and is home to around 1080 students every year. It is also larger than any college at the rival university in Oxford. Trinity College was founded in 1546 by Henry VIII and has since provided a place of enlightenment for some of the greatest minds in history including physicists, Ernest Walton and Martin Ryle- both of whom have won Nobel Prizes. In fact, 32 Nobel Prize winners throughout history were taught at Trinity College. Today, the college leads the way in scientific research and boasts an incredible architectural collection. Courtyard view of the historic Peterhouse College, the oldest college at the University of Cambridge, England. University of Cambridge campus buildings. As the oldest of the Cambridge colleges, Peterhouse has roots that date back to 1284. It was established by a royal charter granted by King Edward I who named it after Peter the Apostle. Not only is Peterhouse the oldest of the colleges in Cambridge, it is also one of the wealthiest and has combined assets that exceed £250 million. The long history of the college is full of new discoveries across various fields of study and the development of historic buildings that dates back hundreds of years. Among the notable alumni, famous figures such as Henry Cavendish and David Mitchel studied at Peterhouse. Established in 1441, King’s College was founded by King Henry VI who was an advocate of education and created many charters and decrees to forward the development of scholarly studying in England. The enthusiasm shown by King Henry VI is evident in the outstanding structures, halls and buildings that make up King’s College. The grounds are a hotspot for tourists and you won’t want to miss out on seeing them during your stay at The Tamburlaine Hotel. 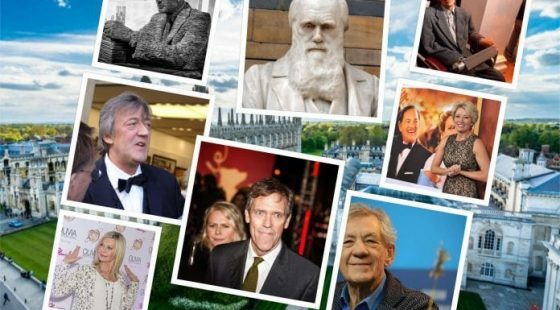 Some of the famous faces to pass through King’s College include Olympic gold medallist, Philip Noel-Baker and comedian, David Baddiel. Having the longest official name of all the campuses in Cambridge isn’t this college’s only claim to fame. With a history dating back to 1496, the Jesus College has had more than its fair share of iconic alumni and has become renowned for educating some of the brightest and most forward-thinking minds in the world. The faculty at Jesus College specialise in subjects ranging from mathematics and economics to language and history. It is the third wealthiest of the Cambridge colleges and boasts some of the largest and most beautiful greeneries in Cambridge.